So you have finally decided to sell your home. Are you ready? Perhaps a facelift will help skyrocket your home’s selling price. But what should the home renovation include? As a seller you should focus on the appearance and functionality of the property, both inside and out, if you want to make a lasting impression with buyers. When selecting remodeling projects, think about what prospective buyers will like rather than focusing on your own tastes. Do not forget that you will not live in the home any longer. 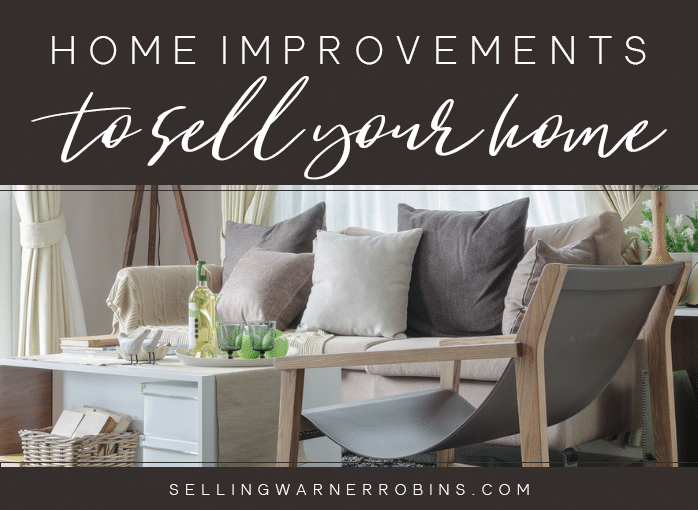 If you are unsure what projects will pay off, and you want to start with some easy improvements, consider making some of these easy home improvements to help your home sell! One of the most important rooms that will win buyers over is the kitchen. A neat, functional, and presentable kitchen will make all the difference when people are considering whether to buy your home or not. If you cannot afford to replace the cabinets, there are a few other inexpensive and easy options to go for. For example, repaint or replace the cabinet doors to make them look more expensive and modern. Updating the cabinet handles often gives a fresh and new look. If you want to add even more value to your home, consider replacing the counter-tops. It can be expensive but it often worth the expense. Also, getting rid of bulky furniture and appliances can help make the kitchen appear larger by displaying only a few items and showing off the available space. Place a flower vase or a bowl of fruit on the table to give a down-home feel. Let’s face it, old and dirty bathrooms give everyone the creeps. There is something about them that makes you feel a bit grungy. If your goal is to win prospective buyers over, your bathroom should be immaculate. It is not always necessary to remodel the bathroom but a few improvements will breathe new life into it. It does not matter that you just installed a new alarm system, upgraded the garage, or even renovated your master closet, if your home is not clean and decluttered the showing will typically not go well. Whether it is important or not, prospective buyers will be trying to imagine their belongings in the home and many are unable to do that if you have too much stuff for them to ignore or you having an unclean home. Start by giving the entire place a good cleaning. Dust and vacuum every room. Wax wooden floors, remove limescale and cobwebs, clean kitchen counter-tops and appliances, remove baked-on food from your oven, mop all floors and pay attention to those areas you always overlook (such as windows, and baseboards). Get rid of bad odors and use air fresheners (sparingly) to make your home more appealing to viewers. It is also a good idea to hang clean towels. Is there mold and mildew? Make sure to get rid of it before presenting your home for sale. What about your outdoor area? It could use cleaning as well. Tidy and clean the patio, cut the grass, collect any dead branches, get rid of animal waste and do not forget to spruce up your outdoor furniture. If you have been postponing fixing stuff around your home, ensure you get the maintenance done before visitors come to see the home. Also, finish all your DIY projects on time. You do not want your home to look weird or incomplete. Call in a pro to inspect and assess your property, including your electrical and plumbing systems. It is pretty embarrassing when a prospective buyer finds out that the toilet does not flush or the faucets are dripping. A fresh coat of paint will make your property more presentable, appear larger, and lighter. Choose bright, neutral colors that will match any piece of furniture. Consider repainting all the walls as well as the front door. A good looking front door can set the tone for the rest of the visit so ensure yours looks its best! Old furnishings look anything but appealing. Rather then attracting visitors, they often turn them off, changing a pleasant experience into a forgettable one. If you have some spare money, consider investing in new furniture or at the very least slip covers for existing pieces. Always choose smaller pieces over bigger ones to allow enough free space in the rooms. Bulky furniture makes a room look smaller which is the opposite of what you want as a seller. You do not need to spend a fortune either. Check thrift stores for inexpensive but good-looking furniture. Some items look like a million bucks and cost as little as $20. If your old furniture still looks presentable, consider selling it to make more money. It is as simple as washing the windows, adding large wall mirrors and/or installing additional lighting. Mirrors will make the space seem bigger. They also reflect light, keeping rooms bright. Cleaning the windows will make your home much better looking than before. Leave the curtains because they add a more personal look to the property. Naked windows do not look their best and might put prospective buyers off. Replace damaged light bulbs. If there are dark corners in the house, add lamps to make them brighter and more appealing. Use soft lighting in the bathroom to create a romantic atmosphere. If your budget allows, adapt your attic into a functional room or convert a patio into an outdoor entertaining space. Other potential projects include extending your kitchen or building a new porch or gazebo. All of these improvements will cost, but if you invest in a project like this, there is the possibility it will pay off as long as you do not over-improve for the neighborhood. If you do not have the money for such an ambitious project, at least make sure to get planning permission so that it is easy for the new owners to make structural changes later on. As always, you want to use an experienced real estate agent to list your home. They will know how to present your home in its best possible light, minimizing any flaws, and highlighting all the key assets. 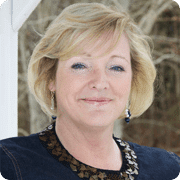 It is crucial to selling your home that you choose the right agent! If you found this information on Easy Home Improvements to Help Your Home Sell useful, please share it so others can also benefit from the information. The article is contributed by Kathleen Crane who works for DCP Cleaning Battersea.